Aroostook County sheriff’s deputies arrested a Hodgdon man Dec. 12, following an investigation into a stolen motorcycle. The sheriff’s office did not release the details about the arrest until Jan. 15. 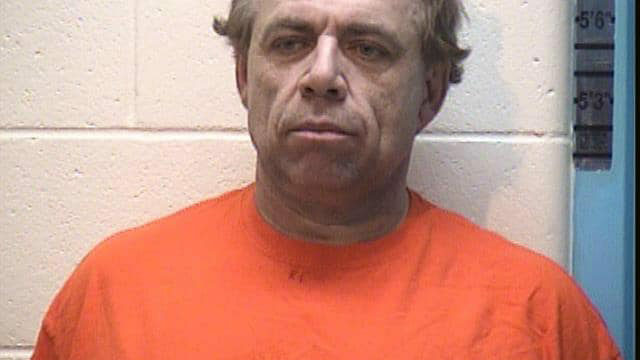 HODGDON, Maine — Aroostook County sheriff’s deputies arrested a Hodgdon man Dec. 12, following an investigation into a stolen motorcycle. The sheriff’s office did not release the details about the arrest until Jan. 15. Deputies charged Michael Malone, 52, with receiving stolen property and criminal simulation. He is due in Houlton Unified Court in March to answer to the charges. According to Maine statutes, criminal simulation is when a “person alters, removes or obscures the manufacturer’s serial number or any other distinguishing identification number, mark or symbol” on a vehicle or machine. Deputy Sheriff Richard York received an anonymous tip in early December about the possibility of a stolen motorcycle being stored at a residence in Hodgdon, according to Sheriff Shawn Gillen. York investigated and found a Harley Davidson Sportster that had the vehicle’s identification numbers and engine numbers removed. The deputy seized the motorcycle and arranged for Detective Chad Foley of the Bureau of Motor Vehicles-Enforcement to inspect the motorcycle for identification. “Upon further examination, Det. Foley, working with Special Agent Heidi Jordan of the National Insurance Crime Bureau, was able to identify the motorcycle as a 2008 HD Sportster XL1200 which had been reported stolen to the sheriff’s office in March of 2017 in Smyrna,” Gillen said. The incident is still being investigated, the sheriff said. Anyone with information on any criminal or illicit activity, may report it to Crime Stoppers at 1-800-638-TIPS(8477).They also can text information to Crime Stoppers at 538-TIPS(8477).